Santino has Wonderful boxing, Sensational Muay Thai, Wonderful wrestling and holds a purple belt in Brazilian Jiu Jitsu. 2019-03-15- received 160q Reduce energy loss from manager. 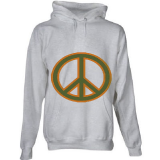 2019-03-09- received Peace Hoodie from manager. 2019-03-09- received Yao Ming Face from manager. 2019-03-01- Santino Lombardo celebrated his birthday - 19 today! 2018-12-30- received 160q Reduce energy loss from manager. 2018-12-29- received NIKE TRACKSUIT Shorts from manager. 2018-12-29- received DCU Thai Top from manager.